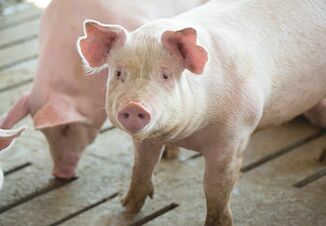 The U.S. pork industry adopted nine resolutions and advisements in March to strengthen industry efforts to prevent foreign animal diseases (FAD) such as African swine fever (ASF) from entering the country. 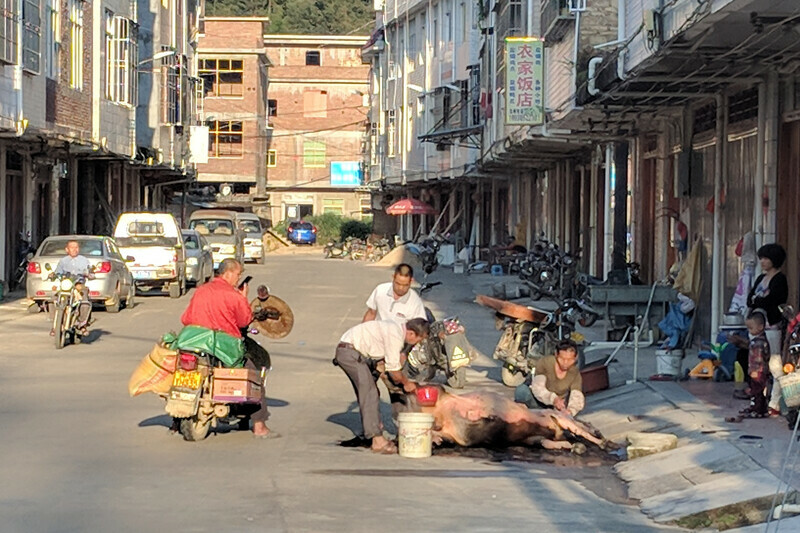 National Pork Producers Council (NPPC) board member Gordon Spronk, DVM, says the industry’s greatest risk is at the borders from travelers coming in from all over the world and imported goods primarily used in agriculture. “These advisements and resolutions will help us to take steps necessary to protect U.S. agriculture and to begin to gather the data necessary to make good decisions,” he says. The National Pork Board’s ASF task force is identifying, prioritizing and refining strategies and resources needed to reduce risk through their promotion, research and education programs. On March 1, the National Pork Board passed two resolutions brought forward by the ASF Task Force. a. A science-based protocol for quarantine times and temperatures for all imported ingredients from FAD-suspect or confirmed countries. b. A science-based protocol with specific mitigation recommendations for feed (e.g. pelleting, time and temperature, feed additives) designed to reduce or eliminate the exposure of U.S. swine to viable FAD viruses through feed. c. Determining where risk exists and communicating potential mitigation protocols for FAD transport and transmission for all supplies used on U.S. farms that are produced in or that pass through ASF-positive countries. Disseminating a resource for producers and industry suppliers to be able to easily identify countries that have ASF or other FADs to help inform on the risks of disease introduction to the U.S., from countries of concern, through employee travel, hosting international visitors, imported supplies and feed inputs. 2. Develop a complete list of all porcine-originated ingredients, determine the risk of each ingredient for transmission of FADs through feed and develop science-based methods to mitigate risk. 3. 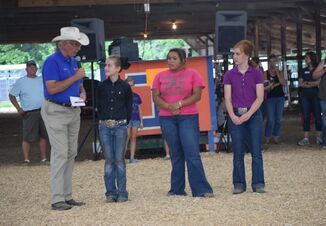 Commit the resources necessary – including staff, Board of Directors and committee members to support, promote and deliver information on critical research needs and results, and broadly communicate and gain support from all industry stakeholders to implement measures to keep the U.S. national swine herd free of all FADs, including ASF. 1. Develop and implement a strategic research plan to quantitate the risk of FADs entering the U.S. from agricultural items at ports of entry to help inform on resources need by Customs and Border Protection to reduce the risk of FAD introduction to a level that positions the U.S. at the forefront internationally for protecting agriculture. Review and compare fines and other penalties across countries for travelers and importers where undeclared prohibited agriculture items have been interdicted at ports of entry and communicate results to stakeholders. Develop a comprehensive strategy for feed sampling (testing) and risk mitigation of all feedstuffs entering or attempting to enter the U.S. for validation and implementation by FDA and USDA Animal and Plant Health Inspection Service Veterinary Services (APHIS VS). Provide support to USDA APHIS VS and State Animal Health Officials with implementing, as part of a comprehensive and integrated ASF surveillance plan, ASF surveillance on-case compatible laboratory submissions, processes for further validation of appropriate sample types and strategies for surveillance in transitional, garbage-fed and feral pig populations to increase confidence for early detection in these populations. 2. Provide support to USDA APHIS VS in developing timelines and gaining entry to casing facilities for compliance inspections in ASF-positive areas. If inspections are delayed, denied and/or violations are found, urge U.S. importers of casings processed in or that have passed through ASF-positive areas to measure salinity in the product to ensure compliance with the relevant OIE chapter and article(s). If deficiencies are found, consider suspension of import of casings until compliance can be demonstrated. Identify and communicate FAD research needs, including ASF, to USDA, FDA, DHS and CBP and explore opportunities to leverage Checkoff funding with government and non-governmental entities to accomplish research objectives. 3. Develop and implement a plan to raise awareness of animal health officials, producers, veterinarians and all supply chain partners on initiatives, including those identified in this resolution, designed to keep ASF out of the U.S and improve preparedness and response. 4. Commit the necessary Checkoff funds – including staff, Board of Directors and committee members – to support, promote and deliver information on critical research needs and results and broadly communicate and gain support from all industry stakeholders to implement measures to keep the U.S. national swine herd free of all FADs, including ASF. NPPC continues to explore options to mitigate impacts to the nation’s swine industry through continued monitoring of disease threats and ongoing review of swine disease control efforts to determine their effectiveness. NPPC should work cooperatively with the National Pork Board, USDA, FDA, and Homeland Security to convene an ongoing dialogue with Canadian and Mexican government, swine, and health orgs to collaborate and implement practices that would protect the North America swine herd from the entry of a FAD. Implore USDA-ARS and other public and private research institutions to evaluate swine FAD virus viability in pig feed or feedstuffs and develop feed holding time information as it relates to transport and storage to assist in disease prevention. In an effort to mitigate the risk of a FAD entering the U.S., NPPC should work with the USDA and FDA, within their respective rolls, to restrict imports of soy-based animal feed products from countries of high risk to transmit FAD. Furthermore, NPPC should work with the USDA and FDA to adopt a responsible feed ingredient sourcing strategy for all imported products to prevent the introduction of FAD into the U.S. 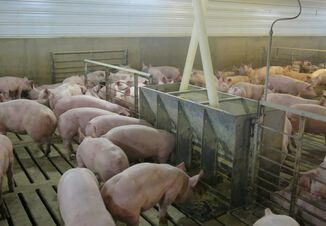 The National Pork Board should take steps to engage U.S. pig farmers and allied industry partners to develop a science-based plan to safely introduce essential feed and feed ingredients, as well as other products, from countries of high risk in an effort to reduce the risk of FAD entry into the U.S. The National Pork Board should work cooperatively with necessary associations and appropriate government agencies to convene an ongoing dialogue with Canadian and Mexican governments, and their swine health orgs to develop and implement practices that would protect the North American Swine Herd from the entry of a FAD. The Minnesota Pork Board supports and encourages the Board of Directors of the National Pork Board within its scope of authority and responsibilities to provide the resources necessary to focus communication, education, funding and research activities by all National Pork Board staff, committees of the National Pork Board, governmental agencies, other industry orgs, all vendors to the USA swine industry and all producers to keep the U.S. national swine herd free of all FADs including and specifically targeting ASF. Can We Expect Agribusiness Job Growth?